1. Introduction 2. John Brown: "A Muse of Fire" 3. Translating a Terrorist: The Business of Public Intellectuals 4. Confronting Conspirators: Re-examining Thoreau’s "A Plea for Captain John Brown" 5. "Self-Reliance:" Emerson’s Antidote to Political Abdication and Judicial Compromise 6. In the Shadow of John Brown: Refusing Violence in Harriet Beecher Stowe’s Dred. 7. Epilogue. Appendix A: Letter from Ralph Waldo Emerson to Charles Wesley Slack. Appendix B: Letter from Theodore Parker to Charles Wesley Slack. Appendix C: Letter from Frederick Douglass to Charles Wesley Slack. Notes. Works Cited. Index. 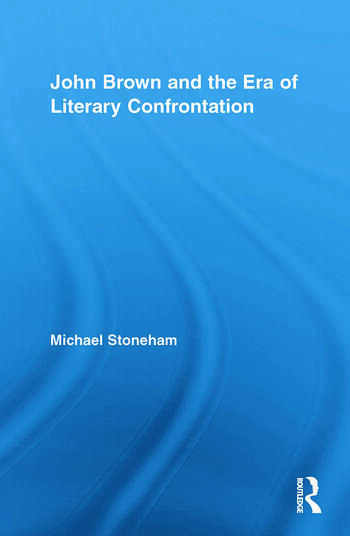 Michael Stoneham is an Academy Professor in the Department of English at the United States Military Academy.